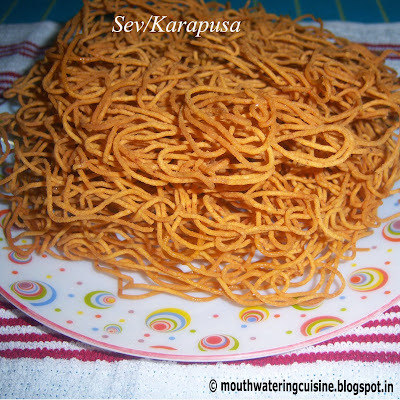 Sev or Karapusa or Omapodi is a very simple and easy to make snack item. 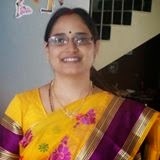 It is formed as integral part of North Indian street foods. But it is made more thinner. 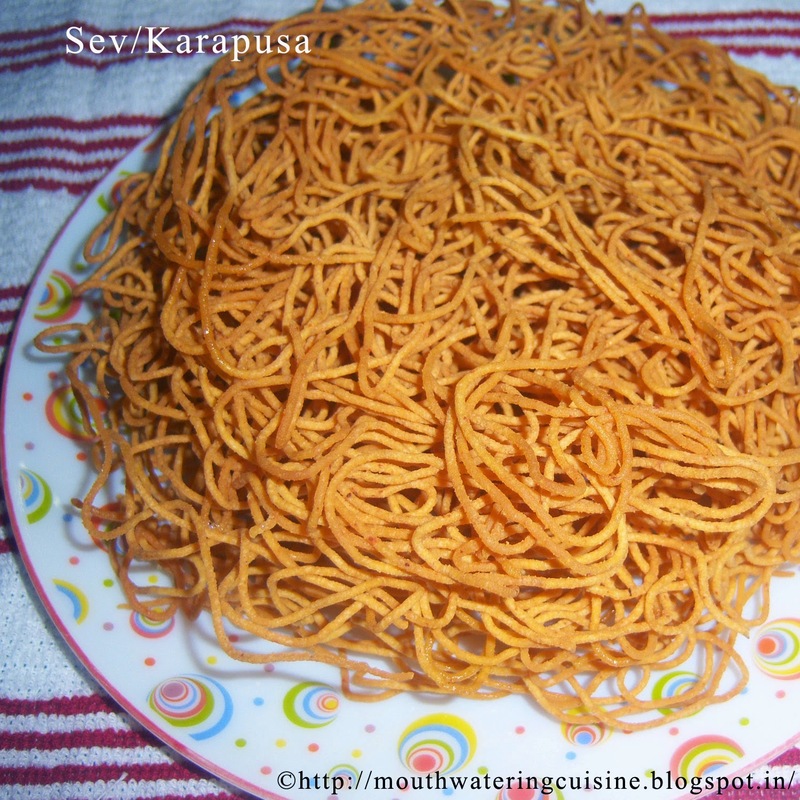 It is normally made with chickpeas (besan) flour. Grind ajwain to fine powder. Sieve chickpeas flour and rice flour along with ajwain powder. Heat oil in a kadai, Add 2 tbsp of heated oil to the above flour mix. Add required amount of water to it and make a soft dough. In the muruku maker, fix small hole plate. Grease it with little oil. 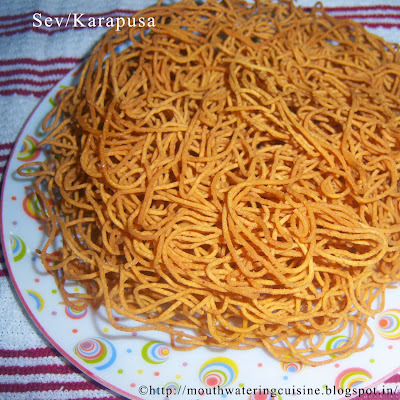 Take small portion of sev or karapusa dough, fill it in the muruku maker. Heat oil in a kadai till the fumes up. Reduce the flame and press karapusa into the hot oil. It takes very less time to cook, so be careful while cooking it. Do not leave it for longer time. Cook them till they turn into golden brown color or till the sev floats on oil. Use perforated ladle to take it from the oil. Put it on absorbent paper. Repeat the same with the rest of the dough. Once cooled store it in an air tight container.